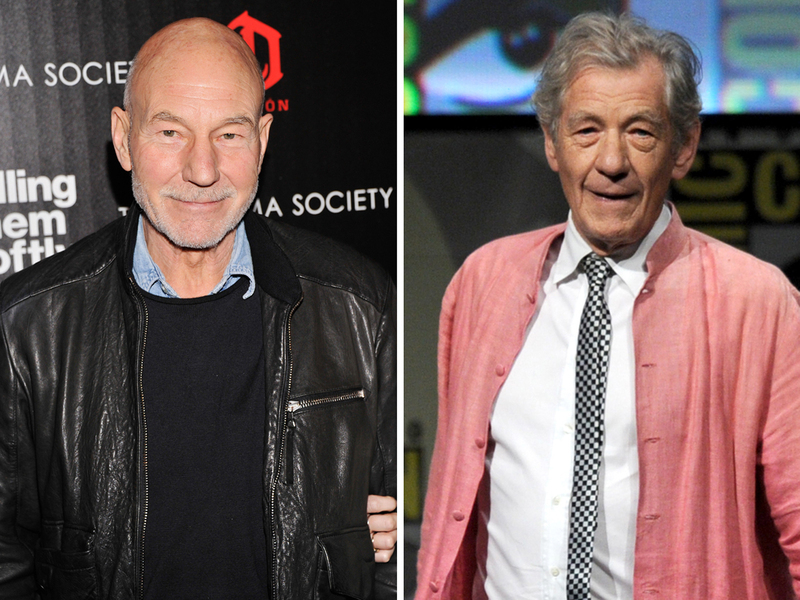 Ian McKellen and Patrick Stewart are teaming up on Broadway this fall in two of the most iconic plays of the 20th century. The actors will star in Harold Pinter's "No Man's Land" and Samuel Beckett's "Waiting for Godot" in repertoire under the direction of Sean Mathias, producers announced Thursday. The theatre, performance dates, two supporting actors and schedule will be announced at a later date. Stewart and McKellen starred in a production of "Waiting for Godot" in London's West End in 2009. Prior to Broadway, they'll tackle "No Man's Land" in an as-yet-unspecified out-of-town tryout this summer. Mathias said all three men struggled to make with "Waiting for Godot" as honest and realistic as possible -- an approach they'll likely replicate with Pinter's play. "What we tried to do, with so much effort, was make it real. Make them human beings, compassionate, funny, flawed and vulnerable and cocky -- all the things human beings are," Mathias said. "We never wanted to make it esoteric. I'm sure this is how we will approach the Pinter as well." Stewart and McKellen first worked together in 1977 in Tom Stoppard's "Every Good Boy Deserves Favour." They've also starred as Professor Xavier and Magneto in the "X-Men" film franchise. McKellen made his Broadway debut in Aleksei Arbuzov's "The Promise" in 1967 and won a Tony Award for his performance in "Amadeus" in 1981. His films include "Apt Pupil," "Gods and Monsters" and "The Lord of the Rings." Stewart, perhaps best known as Capt. Jean-Luc Picard of "Star Trek: The Next Generation," first appeared on Broadway in Peter Brook's production of Shakespeare's "A Midsummer Night's Dream" in 1971 and has recently been in David Mamet's "A Life in the Theatre" and "Macbeth." The two will sink their teeth into Beckett and Pinter after spending the summer filming "X-Men: Days of Future Past." Mathias will be directing "Breakfast at Tiffany's" on Broadway this spring.